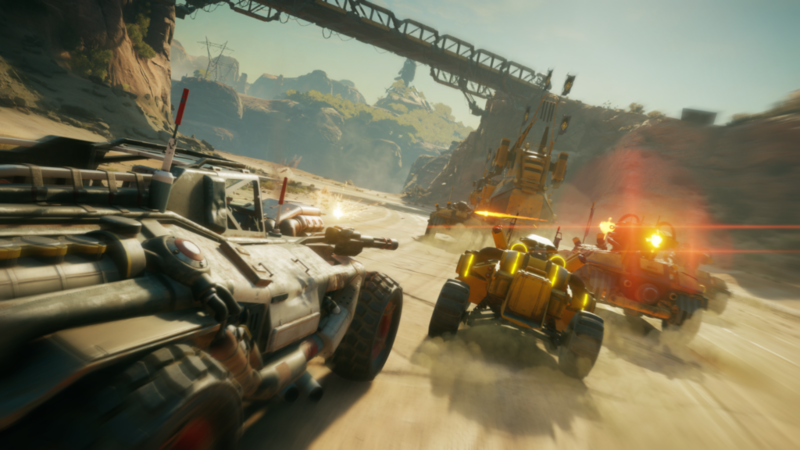 A few weeks ago, we received an invitation from Bethesda to come over to their offices and try out an early build of their new game: Rage 2. As we played the first title many years ago, there was a certain excitement. At first we were quite afraid, as we weren’t all too sure how the game would hold up, bearing in mind the recent Fallout 76 debacle. You must not worry, the demo we were able to play was very impressive. The event started with lunch and a clear introduction about what we were about to discover in the game. Two movies showed key elements that might not yet be in the game but gave us a clear vision of what is yet to come such as enemy types, the many special moves, artillery and much more. This being said, there was also a little notice pointed to us: ‘you will be given a map that shows the already developed playground, you may step outside the boundary but beware that it isn’t finished yet’. So yes, seconds after being dropped in game, we decided to go out of bounds. Rage 2 is set in a post-post-apocalyptic world after the events of the first game. You are an enforcer of the local authority that tries its best to keep the wasteland safe for its inhabitants from the many raiders and superior forces that battle for the last available resources. The open world can be explored to your liking as you are not limited to the missions at hand, sadly you’ll just get gunned down in harder parts. To acquire missions you must talk to quest givers all around the world, and when out exploring you might come across many random events and objectives to complete, such as the destruction of turrets or taking over outposts. This must all be done to ensure that the wasteland becomes a safe place to live for all its good inhabitants. Because we didn’t want to spoil the short demo story, we immediately set foot into the large wasteland. Not only did everything look beautiful, each faction had their own whereabouts and differentiation. For instance, the normal folk drive around in cool Mad Max-inspired cars, while the raiders drive in these insanely dangerous contraptions beyond imagination. You also have two other factions with one looking like a mix from Tron and Fallout and the other uses space age technology that reminds us of aliens. For an early build, the game looks astonishing, graphics are amazing and everything looks so cool that it hooks you like a drug. Even when going to far regions of the map that weren’t completely developed, there already was fun content to play with. The different factions all have their own unique habitats ranging from mountains to desert planes, a fallen city and even dense woods. Combat against the stronger opponents wasn’t that easy and sometimes resulted in an early death since we did not have strong weapons or skills to begin with. Gunplay is as you want it in an FPS: smooth and enjoyable. Shooting down foes is a true pleasure instead of a chore. The reason why the gameplay is so smooth is thanks to a firm cooperation between id Software for the engine and developers who worked on the Just Cause series to help create the large world and the vehicles. As stated by Bethesda, the driving engine still needs a lot of work, and we noticed that it did not go that well, but this should all be fixed on release. 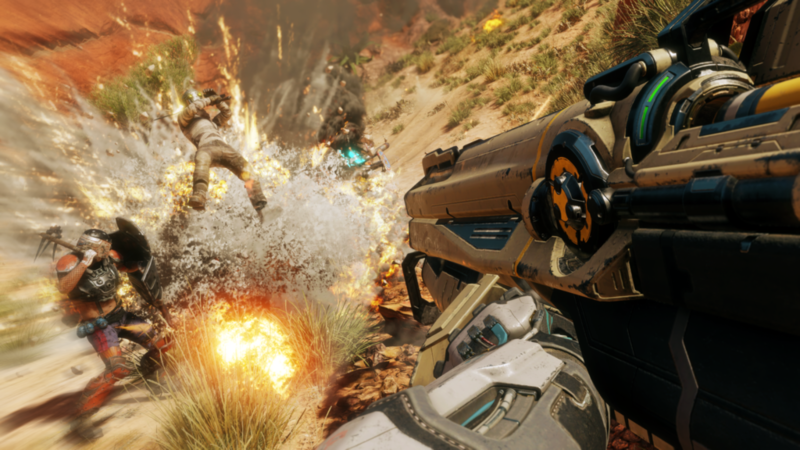 One thing that makes Rage 2 stand out from the crowd is its mix of gunplay and unique abilities that will tip the scales in combat. You’ll have many unlockable abilities, such as teleporting to your opponent or sending them flying with an anti-gravity pulse. Sadly, many of the abilities weren’t implemented yet at the time of testing, so we’ll have to see what the full build will have in story for us in said department. Cruising around the wasteland in a big tank with powerful mounted canons makes you feel invincible, and the realism of the turrets shows how much the developers care about realism while bringing you immense amounts of fun. 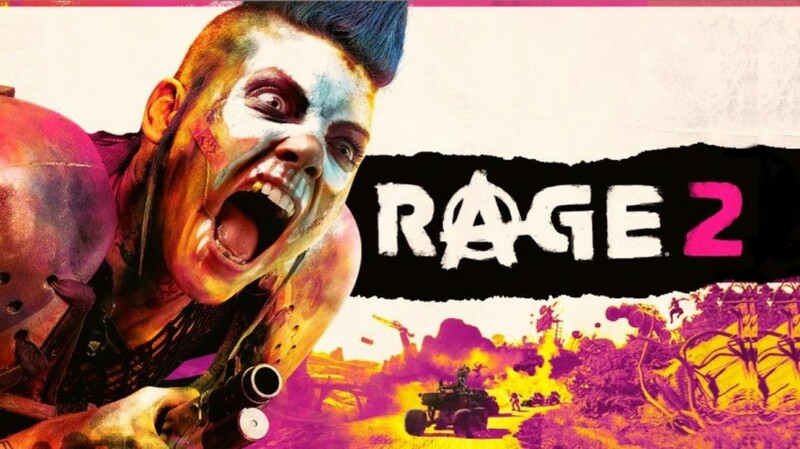 Early 2019 has some great releases in store and Rage 2 will be a fan favorite without a doubt. Its release is yet a few months but the demo we played was so addictive that we are hungry for more! With the gameplay being already impressively decent, thanks to id Software, and a large map to explore, this surely will be an interesting game. If you love to shoot stuff, kick raiders in the nuts or blow stuff up, this is the game for you. With the level of detail of the early build, we are eager to see how the finished product will turn out. We were a bit on the fence with this one as Bethesda is not always that trustworthy when it comes to game design choices, but we liked what we could get our hands on, and if this demo was a glimpse of the quality of the full game, we’re pretty much in for a treat.